Shown with laminate wenge, altuglass white. 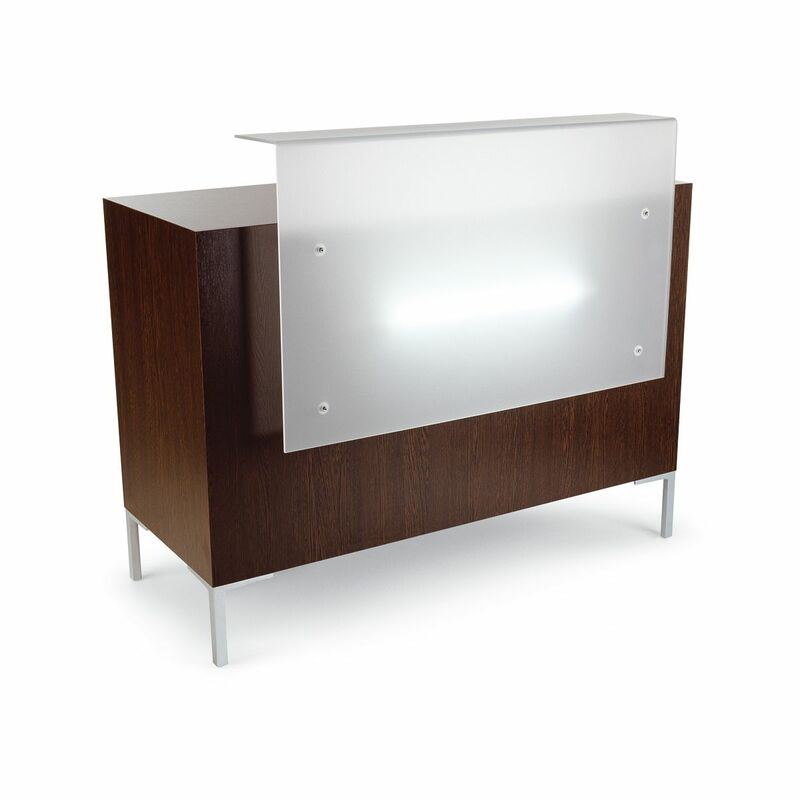 The Yuka reception desk is fitted with altuglass front (white or light blue acrylic). 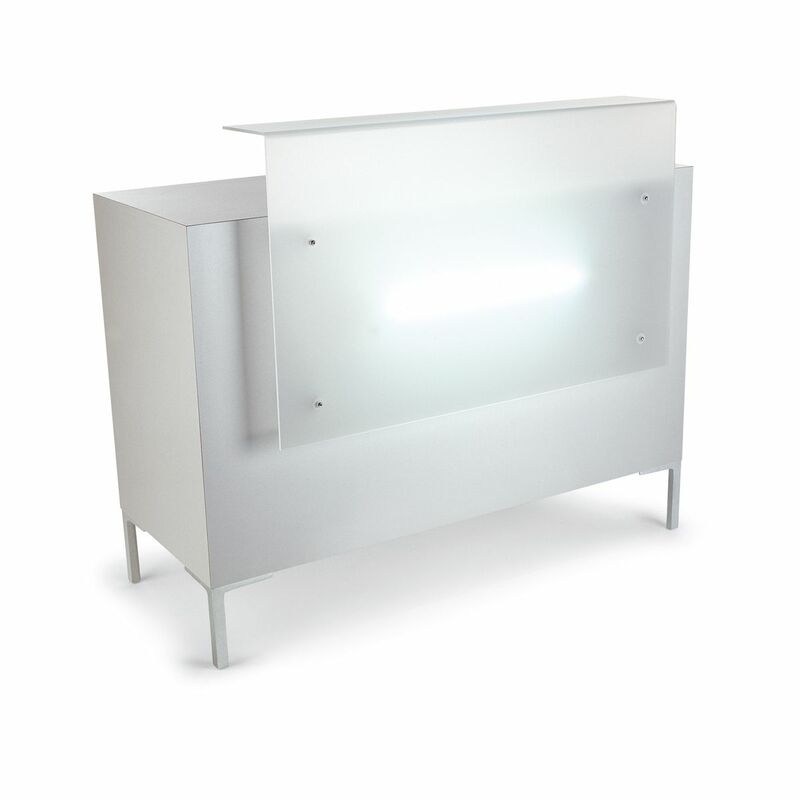 Fitted with silver design accents on the front glass panel along with an LED light. 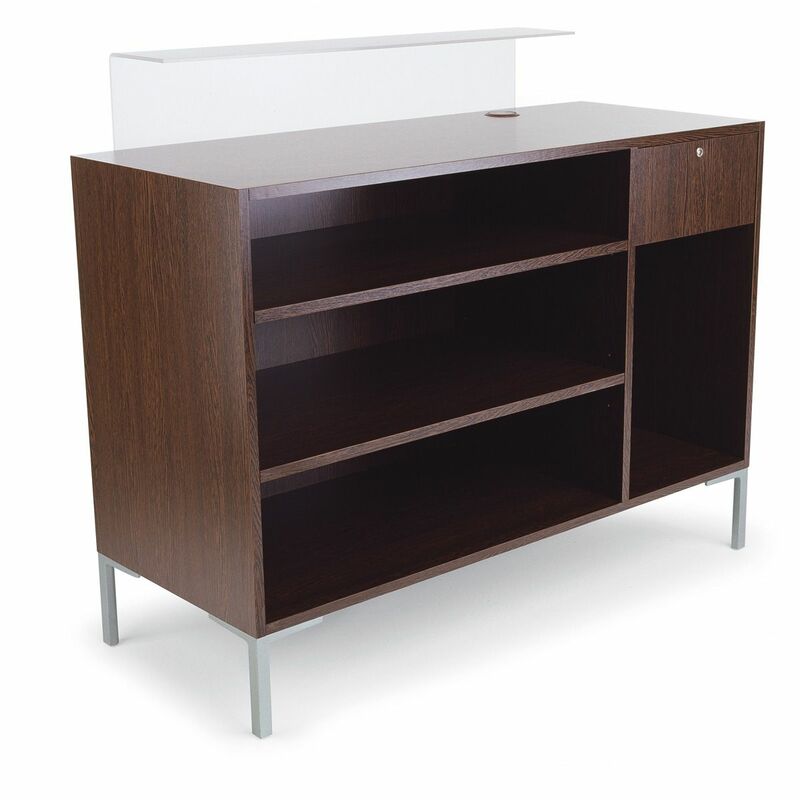 The high counter area is sure to provide enough privacy along with large working counter space, and lockable drawer. The feet are in polished aluminum.